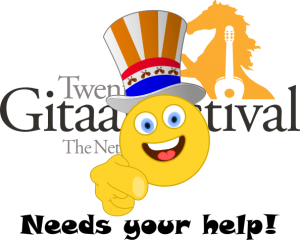 During the Ascension weekend, from 30 May to 2 June 2019, the Twents Gitaarfestival proudly presents a memorable edition. With pride because we can present some special artists and new some activities. And with melancholy and sadness because we had to say goodbye to Sabrina Vlaskalic after her sudden death. At the beginning of her career she won almost all guitar competitions in Europe, including our own former Scharpach Guitar Competition. This year she would be one of the guitar stars at our festival. However, there is also very good news for all guitar lovers in the Netherlands. We have been able to contract the legendary Duo Assad for a concert in Enschede on 1 June. As ambassadors of the Eurostrings project, they also give public masterclasses to the 8 Eurostrings Artists, participating in our festival. Ticket sales for the concert start soon. It is advisable to keep an eye on our website and social media channels, because the tickets are expected to be sold quickly. On Sunday 2 June the Twents Guitar Festival will join forces with the Cultural Sunday, Music in the Streets and the Week of Amateur Art. With a fingerstyle competition in the city center and an interactive guitar market in the Grote Kerk on the Oude Markt, we offer an ideal family outing for young and old. Get in touch with real luthiers and see with your own eyes how a guitar is built. For advanced guitar lovers Raymond Nijenhuis gives a workshop about his unique collection of Harmony guitars. Another new feature is that our Eurostrings Artists, spread across the Euregion, offer concerts of absolute world-level life. Among others in Markelo, Gronau and Ahaus. We will keep you informed! And there are plenty of other activities at the Twents Guitar Festival. Concerts, a festival ensemble day for beginning to advanced guitarists of all ages, as well as for guitar teachers, in collaboration with EGTA, workshops and the outdoor stage on the Oude Markt on Ascension Day. We hope to welcome everyone in the Ascension weekend!